There was a time when China’s local governments were immersed in revenues brought about by infrastructure construction. Once the construction boom retreats, the embarrassing financial realities will be exposed. Today, being fiscally conservative has become a main theme for the Chinese regime, and new tax policies to fill the financial deficit are right around the corner. China’s more than 100 million urban dwellers wonder how much property tax local governments would charge, and how multi-property owners can deal with it. “Land-reliant revenue” shouldn’t be a new concept for those who follow finance and economy news. It refers to the fact that infrastructure and the sales of state-owned lands to real estate developers have been major sources of revenue for local governments. As a matter of fact, the reliance on land has been brought about by the reliance on construction. Over a decade ago when China was reveling in the fast growth driven by exports, the 2008 U.S. subprime mortgage crisis led to a sharp decline in export orders. The Chinese regime decided to stimulate the economy with excessive infrastructure and real estate construction, and thus started the “construction prosperity” era. The stimulus plan was warmly received by the local governments that actively played the roles of city planner and developer. Three types of actions were taken. The first was to demolish urban residence buildings and build high-end office buildings on the sites; the second was to build roads, airports, and public facilities to enable the construction of suburban residential districts; the third was to raise loans to finance the construction. As local and central governments invested heavily in construction across the country, construction investment rose to 35 percent of the GDP, compared to 18 to 20 percent before 2008. In 2014, real estate investment accounted for 21 percent of the country’s GDP. In contrast, during Japan’s asset price bubble in the 1980s, real estate investment was only 9 percent of GDP, and 6 percent for the United States at the onset of the subprime mortgage crisis. The abnormally sharp rise in real estate investment made the construction industry the top engine for China’s economy for quite some time, and related industries all boomed as a result. During the peak of the construction prosperity era, China consumed more cement in three years than the United States in the entire 20th century. Crude steel production rose from 660 million tons in 2008 (49 percent of the world’s production) to 1.16 billion tons in 2014 (69 percent of the world’s production). Meanwhile, housing prices skyrocketed. Prices in 2013 were 64 percent higher than in 2008, and later increased even faster. The soaring prices stimulated urban residents’ desires to purchase homes as the ideal financial investment. It was common to own multiple properties: As of June 2016, China’s residential housing vacancy rate reached 22 to 26 percent. 400 million housing units were built for 250 million urban households, which is a 60 percent over-supply. When the housing bubble grows to this size, the end of real estate construction is in sight. As most residents already owned properties while the younger and newer generation cannot afford to buy homes, the real estate market is slacking. In 2018, China’s residential property square footage sales grew by only 2 percent. What we are facing now is an unquestionable ending: The end of the construction prosperity era, marked by a sluggish housing market which means that local governments can no longer rely on construction. Local government revenue mainly consists of general public budget and government funds budget. The former is sourced from existing tax items and central government funding (i.e. transfer payments to local governments—26 of the 31 provinces and cities receive such funding). Government funds revenue comes from land sales and the government’s local bonds issuance, and is mainly applied to city construction. In 2018, China’s local governments reported a total government funds revenue of 750 million yuan ($111.8 million), which is 41 percent of the country’s general public budget. In the same year, the local governments’ income from granting land usage rights accounted for 91 percent of the government funds revenue. Along with the dissolving of the construction prosperity came the increased economic downward pressure, and the drop in revenue from routine taxation. In order to stimulate the economy, local governments had to lower tax rates and fees regardless of the shrinking revenue. This made it even harder to maintain the general public revenue as tax revenues were already declining. The financial deficit may continue to grow bigger, which in turn will strengthen the local governments’ reliance on land sales. However, many local governments found that their revenue from land sales plummeted. Due to a slowing housing market, the real estate developers’ revenue chain became tighter and tighter, so their need for land significantly weakened. In the local governments’ land auctions, zero bidding has become much more frequent. 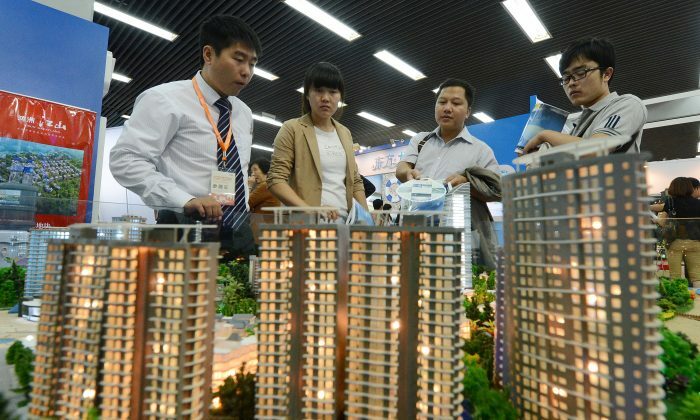 In the first two months of 2019, land sales revenue in 40 representative cities declined by 21 percent compared to the same period last year, which has exasperated the downward trend since June 2018, according to Shanghai E-House Real Estate Research Institute. January land sales in 300 cities reduced 39 percent compared to the previous month, and down 15 percent from January 2018. CITIC Securities analyst Chen Cong predicted that 2019 land sales revenue will be 19 percent lower than last year. Currently, Beijing’s new way to make up for lost land sales revenue is to collect property taxes from urban middle-class households. The Standing Committee in charge of the National People’s Congress, China’s rubber-stamp legislature, announced this year that legislation on property tax will be enacted next year. Earlier, China almost completed the digitalization of property registrations, which will allow cross-provincial property tax collection once the property tax laws are passed. Property tax is a local tax item executed by local governments, and the collected taxes will be part of local revenues. There is no standardization on the timing, exemption areas, and tax rates. Will property tax relieve local governments form their financial difficulties? Real estate analysts Xia Lei and Huang Shi estimated that the property tax income will be as low as 167.8 million yuan ($25 million) assuming a 30-square-meter per capita exemption and a 0.3 percent tax rate. This is worth merely 3.2 percent of the land sales revenue in 2017. If the tax is boosted to 3.5 percent, the total revenue will reach 1.9 billion yuan ($283.2 million), equivalent to 38 percent of land sales revenue. Guotai Junan Securities estimated that with a 20-square-meter per capita exemption and 0.5 percent tax rate, the property tax will account for 4 percent of the local government’s revenue. It will rise to 12 percent when the tax rate rises to 1.5 percent. Both estimations reached a similar conclusion: A lower tax rate will not be able to fill the revenue gap. Therefore, if the downward economic trend continues and the revenue gap keeps expanding, the tax rate will likely be high, even if the government starts at a lower rate. The majority of Chinese middle-class households’ assets are in real estate. The households that own multiple properties will have to shoulder greater tax pressures. How to avoid taxation will become a hot topic among these households. If some local governments waive taxes on residents’ first self-use properties, then for the multi-property owners, divorce may be the option for many families since each former spouse will be able to claim the family’s second property as his/her first housing in order to get tax waivers. Similar approaches have long been used. Beijing announced in April 2010 that every family, regardless of the number of existing properties they own, can only purchase one more new housing unit. The country’s divorce rate immediately increased following the announcement. Each of the “divorced” family members were able to purchase one more new housing unit and enjoyed a 15 percent discount. A fake divorce would save a family hundreds of thousands yuan on a mortgage, which is roughly a common worker’s 10 years of income. Divorce thus became a family financial management strategy unique to China. It won’t be a surprise if many families consider divorce as a way to avoid taxation once the new property tax is officially launched. Chinese people value traditional family relationships, but such relationships will be sabotaged by the upcoming property tax. The Chinese are resourceful in coming up with solutions to get around policies. On the matter of property tax, the cat-and-mouse game will continue: As long as the government seeks more revenue and families refuse to part with their money, the battle will be fought at the price of family relationships. China’s divorce rate is already very high: In 2002, the ratio of marriage to divorce was 7:1; in 2017 it was 3:1. In the fourth quarter of 2018, it rose to 5:3 in northern China. When we think about China’s future, the deterioration of the environment and moral standards have long been major threats. Moving forward, will broken family relationships become yet another “fruit” of China’s economic reforms? Dr. Cheng Xiaonong is a scholar of China’s politics and economy based in New Jersey. He is a graduate of Renmin University, where he obtained his Master’s degree in economics, and Princeton University, where he obtained his doctorate in sociology. In China, Cheng was a policy researcher and aide to the former Party leader Zhao Ziyang, when Zhao was premier. Cheng has been a visiting scholar at the University of Gottingen and Princeton, and he served as chief editor of the journal Modern China Studies. 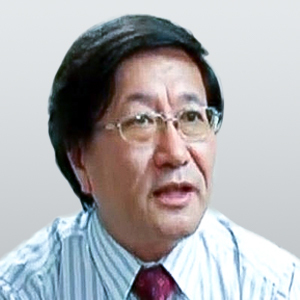 His commentary and columns regularly appear in overseas Chinese media. Though the ambitious promotion schemes had only marginal effects in boosting sales, they left many earlier customers feeling cheated of their new homes’ value.